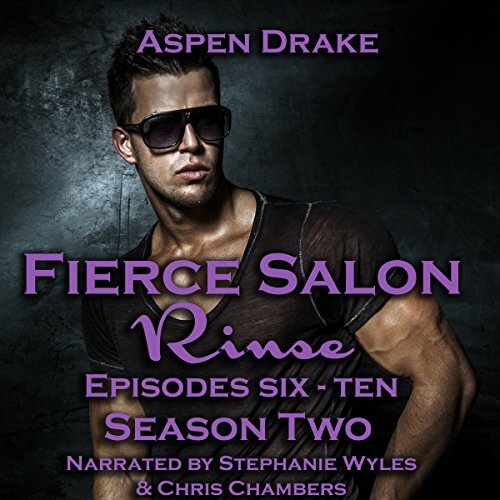 Showing results by author "Aspen Drake"
Follow the dramatic conclusion as more secrets are revealed. Hearts will be broken and relationships will change forever as the stylists at Fierce Salon discover what they really need in order to find love, acceptance, and most importantly, happiness. Written as a short sitcom, each episode provides glimpses into the different characters at Fierce and the daily drama they face as young, attractive millennials in Menlo Park, California. Each episode creates as many new questions as it answers. What a way to end the serial! Nate and Amy stop trying to deny their attraction to each other. Once they give in to their desires, everything is wonderful...until Nate's ex shows up with a three-year-old in tow. Carly meets not one man but two, and has to make a decision she never thought she'd be faced with: choosing one hot man over another. Although, if the hints she's getting are sincere, she may not have to choose at all.